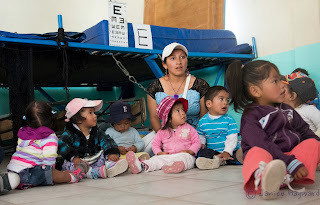 A pre-school class waiting to get eyes checked. found to be very near sighted (myopia). He cried throughout the whole time no matter what treats we presented him with; but once the glasses were put on, he stopped crying immediately. Dr. Katherine McKay, watched him move his eyes around the room with awe. 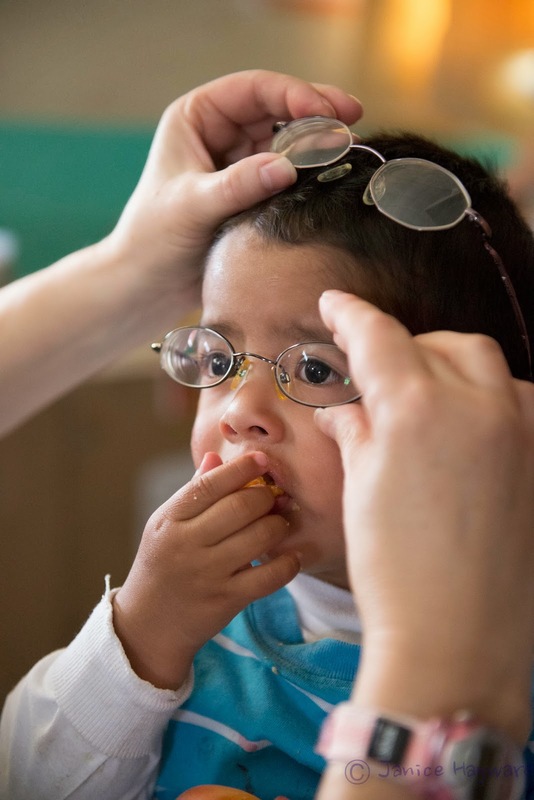 Without glasses this little 2 year old would have developed a condition called Ambylopia and with severe myopia, learning at school is very difficult because you CANNOT SEE TO LEARN. Often times children with this condition simply drop out of school. Thrilled to see the little fella! 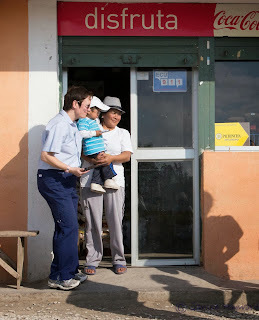 of this little Andean village, a woman opened the door of her home to wave to our team in the bus. A few seconds later, out pops this 2 year old boy, smiling and waving at us with the NEW GLASSES!! we gave him at the clinic. And I couldn't help but think....this is what it's all about. For me it was a sign, whatever you may believe it to be, but in the end it was for me a rainbow. That, despite all the trials and tribulations that we went throughout for the last 3 months to make this project happen, it was a sign that goodness does prevail. 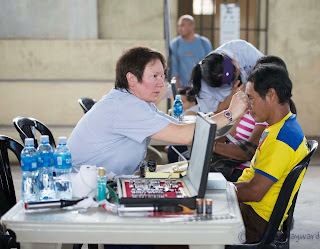 In 7 clinic days with 36 hours of bus riding 2000 km through the Andean, Amazonian and Coastal region of Ecuador, our team served 3386 patients and provided 2235 pairs of glasses. Thank you all for your prayers and well wishes." 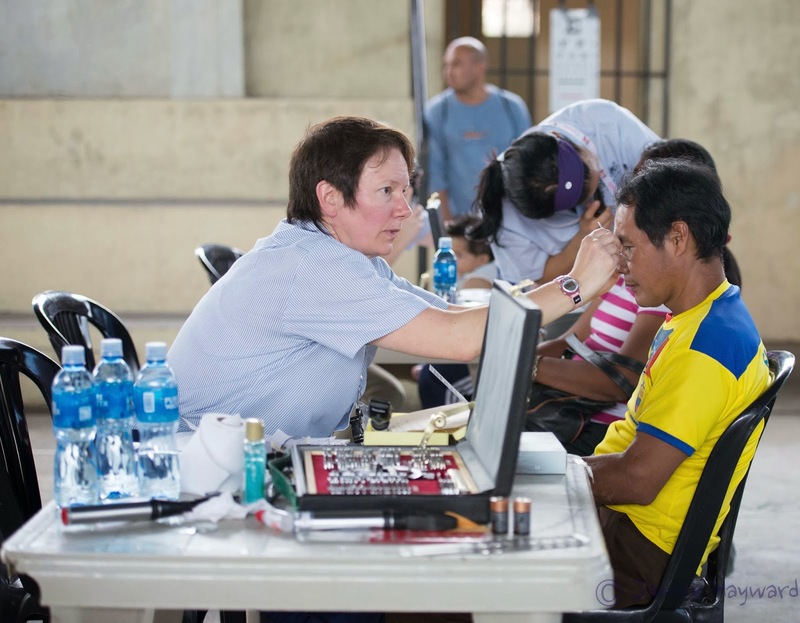 In the words of Optometrist, Katherine McKay, "Frequently during the clinic day there are patients that leave a lasting impression. One such patient was a cute seven-year-old girl who needed very strong magnifiers. 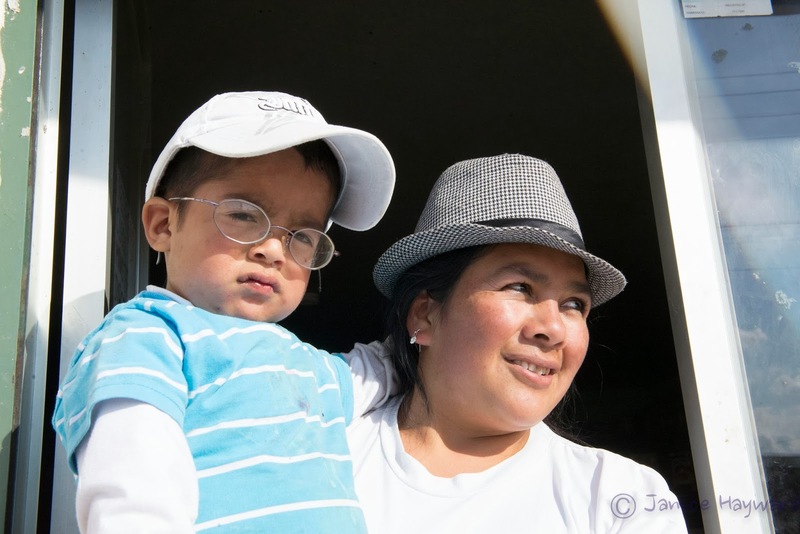 Her sweet smile just kept growing and growing as she adjusted to her new glasses. She and her family of six were also thrilled to be the recipients of cloths kindly donated by Mount Seymour United Church and other donors. 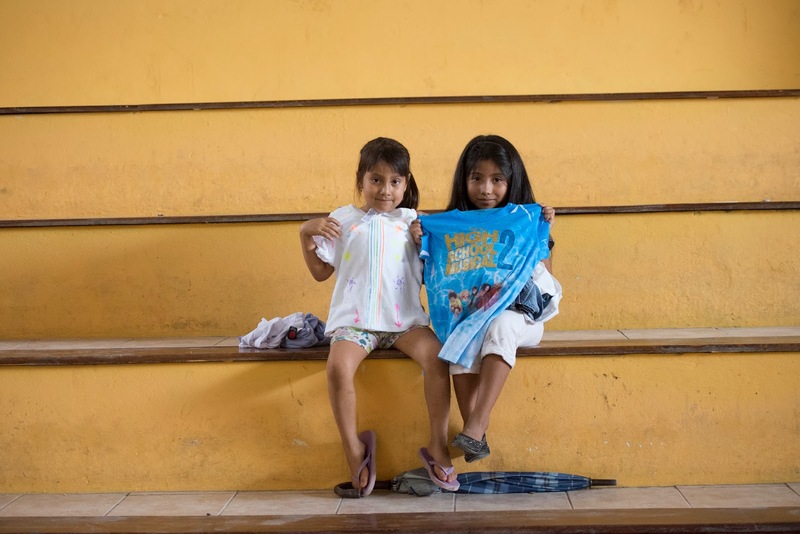 "The day before, in distribution of cloths to some other children, I noticed two excited little girls holding up the clothes and showing each other now nice they would look in them." 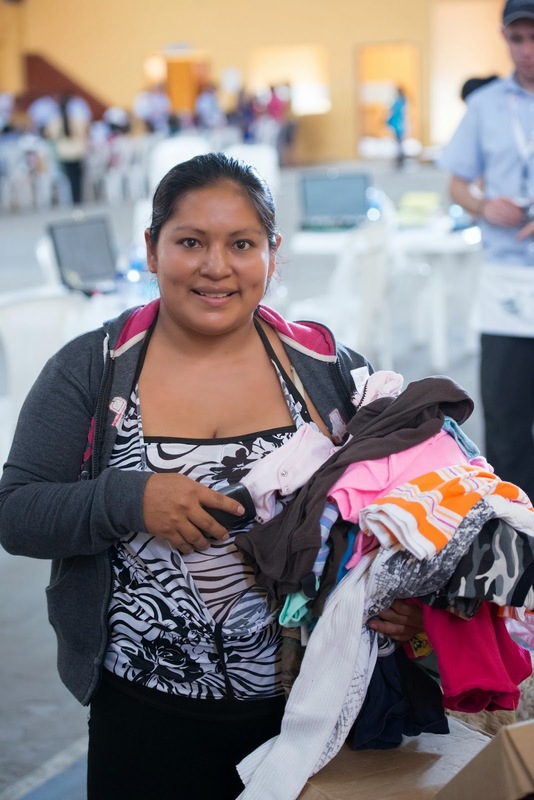 "I keep coming back because I feel empowered and useful and know that with a little bit of effort we can make an enormous difference in the lives of these people. Reading glasses can mean the comfort of the bible or being able to sew or cook. Distance glasses can mean the opportunity for livelihood and contribution to the family's welfare." Katherine working her magic at the triage station. "A pair of glasses and compassion in exchange for smiles, hugs, and genuine appreciation — priceless! From a volunteer's perspective completing my first TWECS mission to Ecuador, I found the rewards I received far outweighed what I gave to the project. Already I am looking forward to my next adventure with TWECS." 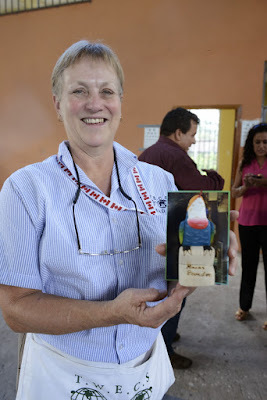 Sharyn showing off carved bird and thank you postcard we received as gifts after Macas clinics. "There are few adventures in life which match the fulfillment of a TWECS project. Imagine a 76-year-old lady whose daily sanctuary was reading a tattered and old bible but whose sight ad left her two years previous. With her new glasses she regains limited visibility but is able to read her beloved book. Tears flow down her cheeks — that is TWECS." Doug, who conducted visual acuities, poses with Vicky, one of the many translators we depended on. 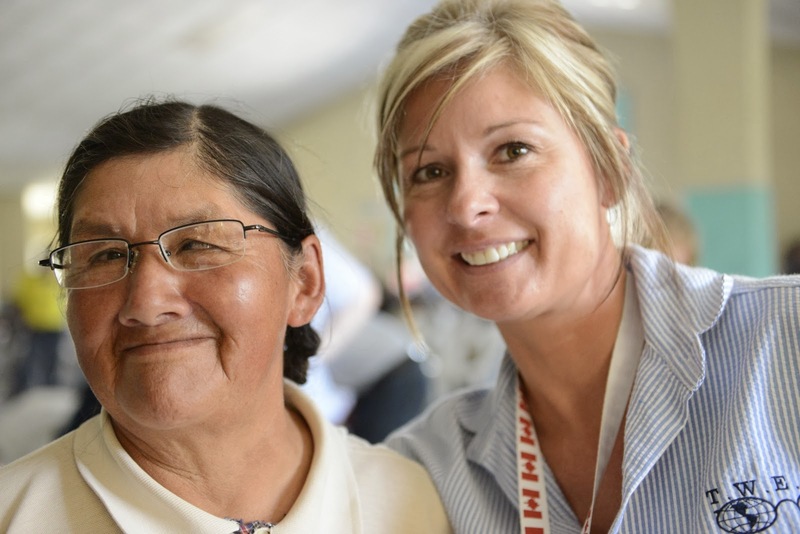 "Seven clinical days and thousands of patients later, our TWECS mission comes to a close. We depart with our optical luggage lighter and a feeling of accomplishment in our hearts. Ecuador has been a humbling experience and a good reminder that there are many things back home I take for granted. 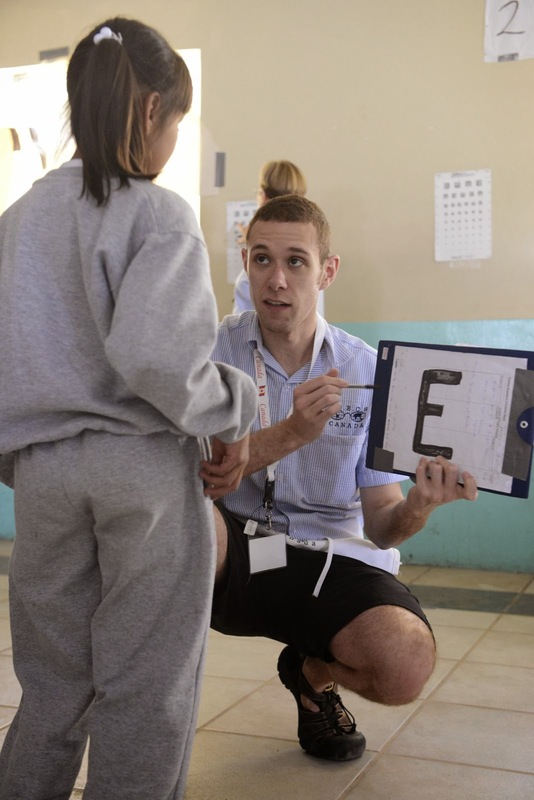 Despite the language barriers, receiving a smile and a hug after dispensing a set of glasses gave me that warm feeling, when you know you've made a difference for someone. And that feeling itself made the whole trip worth it!" Austin, at the visual acuity station, explaining instructions to a school girl. 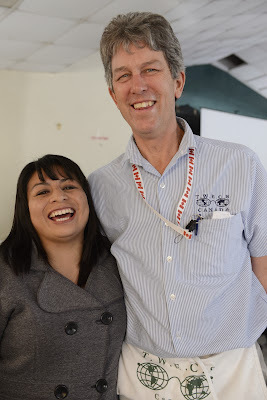 "Traveling to Ecuador with the TWECS team has been such an eye-opening experience. I knew before coming that there were many people in need but never knew how it could impact their lives and mine. The appreciation and gratitude was overwhelming at times, even with the language barrier. So many smiles , hugs, and handshakes — such a worthwhile cause. I will forever remember this experience and all the people I shared it with." Brenda with an appreciative and happy patient.